In 2018 the LGA is marking the anniversary of the 1918 Representation of the People Act, giving the first women the right to vote. 2018 is the anniversary of the 1918 Representation of the People Act, giving women over 30 the right to vote. Women also gained other opportunities to join in civic life that year, enabling them to become magistrates and extending their right to sit as councillors. Organisations like Women Citizens Associations grew to support women as they joined in democracy. The Women's Local Government Society, a cross-party and independent organisation which campaigned to enable women to stand as local councillors, is leading the "From Suffrage Campaigns to Citizenship" project with partners including Buckinghamshire County Council and the LGA. Working with the LGA and campaigners across the country, they identified 100 women who were active in the campaign for votes, and who went on to use the extended rights to citizenship in a positive way locally. The work of these 100 pioneers has been collected together in an e-book to encourage and inspire the next generation of councillors and campaigners. 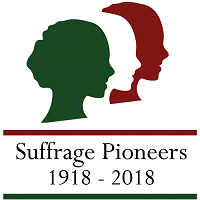 Just as suffrage pioneers went on to play other roles in civic life having succeeded in campaigning for the extension of the franchise, we hope this project will engage more people in civic and community life in your area. The LGA’s Be a Councillor campaign aims to use the centenary celebrations to encourage people from all backgrounds to consider becoming a councillor. “These female pioneers are rightly being recognised for their courageous campaigning and determination to achieve what was a historic milestone on the path towards gender equality and democracy for all." Increasing the pool of talent from which councillors are elected is a key task for local government.